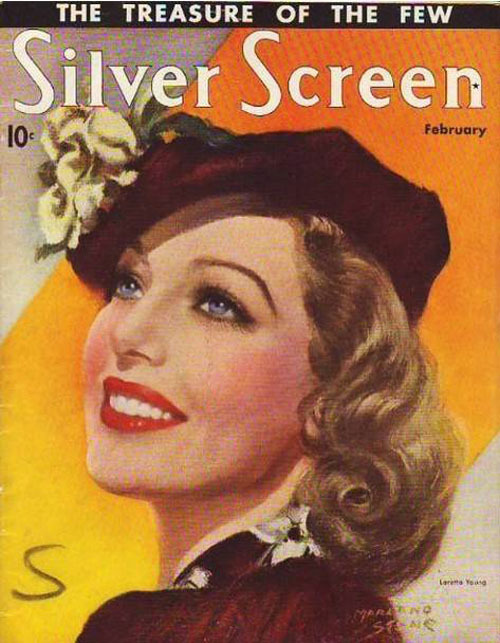 This month marks what would have been the 100th birthday of Loretta Young and it seems that all of Hollywood is celebrating. 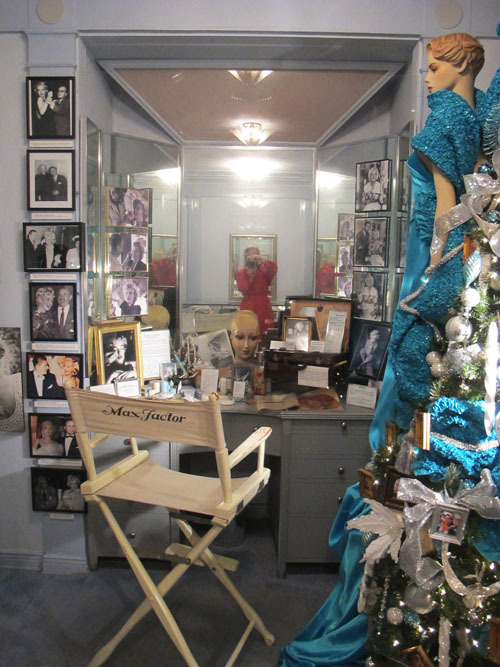 To kick off the Centennial, Turner Classic Movies made Loretta their TCM Star of the Month and the Hollywood Museum now hosts its eagerly anticipated exhibition for Loretta--fittingly called "Hollywood Legend: 100 Years of Glamour & Grace." Last Tuesday was the opening night party co-hosted by The Hollywood Reporter and Loretta's own family invited me to be there. 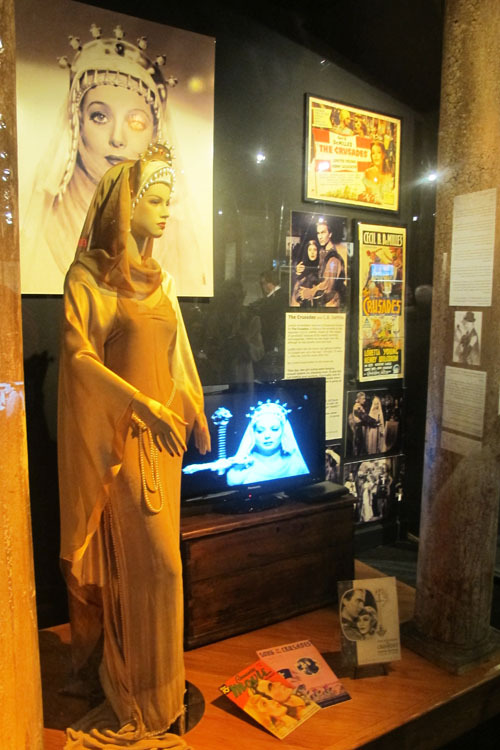 Despite the fact that I arrived mere moments after the doors opened, the lobby of the Hollywood Museum was already packed with guests. The excitement for the exhibition was such that people couldn't wait to get in...ignoring the usual practice and pretense in LA of arriving fashionably late. 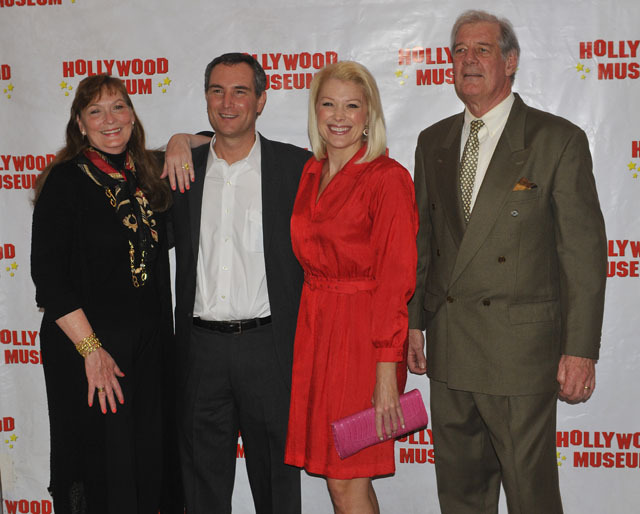 Loretta's son and daughter-in-law, Chris and Linda Lewis, welcomed nearly 400 people to the opening night party. 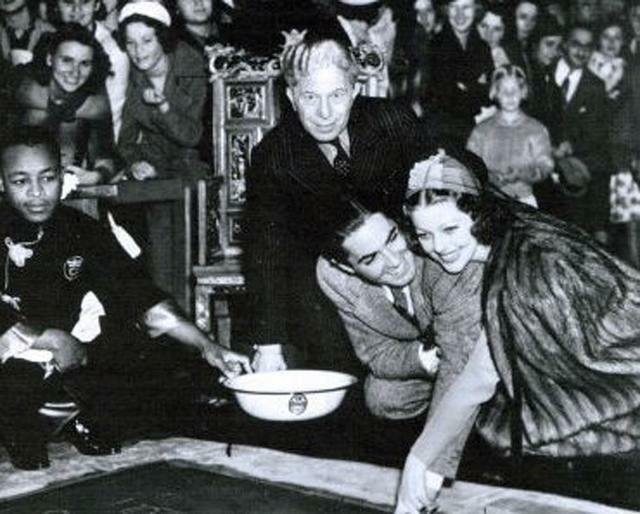 Among the guests was Tyrone Power, Jr., son of Loretta's frequent dashing co-star, who was the very visage of his famous father as he worked the room. 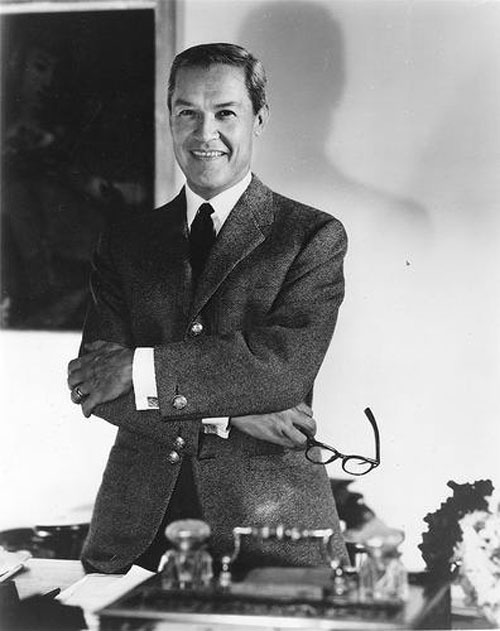 Daniel Selznick, grandson of MGM founder Louis B. Mayer and son of David O. Selznick, brought his own Hollywood legacy to the event. "We were so excited to see friends and family who we haven't seen in years," Linda told me, such as Jane Wyman and Michael Reagan, President Reagan's son who grew up with Chris. 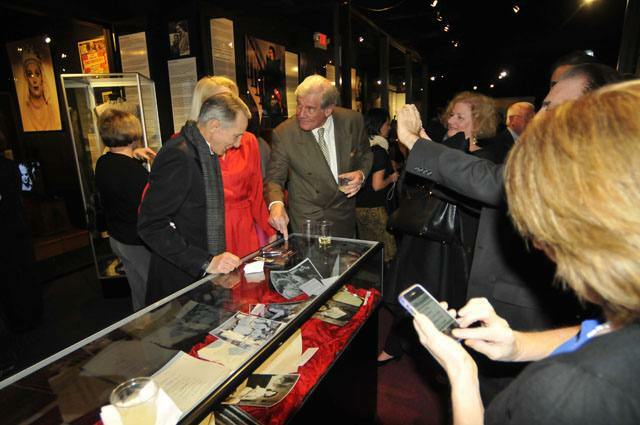 Others I met included Loretta's TV son (and The Rifleman star) Johnny Crawford, whose note from Loretta was featured in the collection. My own guest for the evening was Charlie Tabesh, TCM's Head of Programming, and it was such fun to share Loretta's legacy with him. The exhibition itself was incredible. 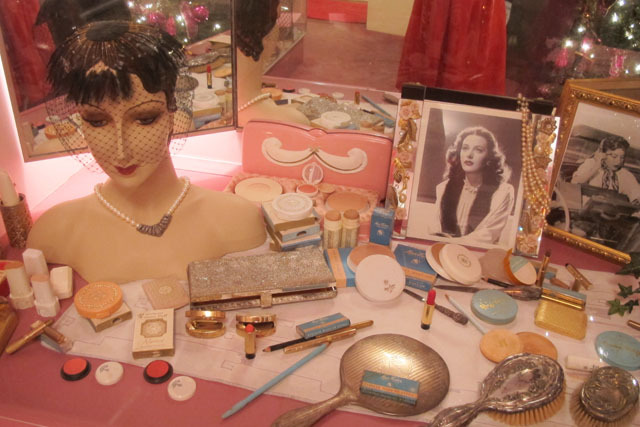 An entire floor of the Hollywood Museum was wall to wall with Loretta memoribilia. 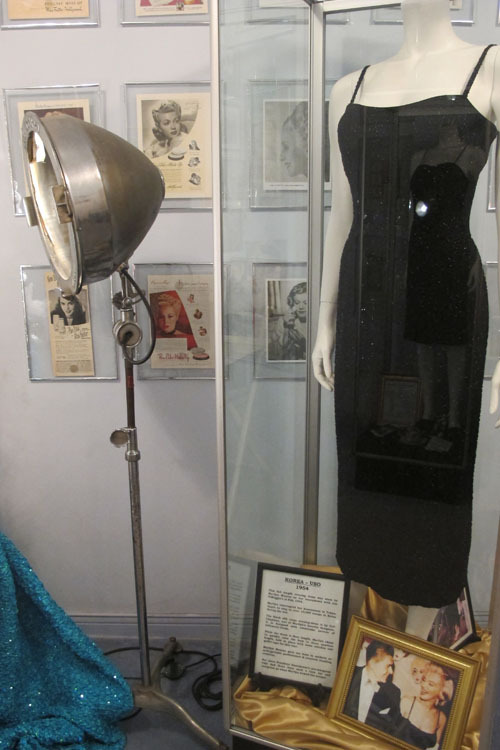 Not surprisingly, it was the clothing in the collection that caught my eye and everything from her movie and television costumes to offscreen wardrobe was there, including coats, dresses, hats, purses, gloves, and jewelry. Her awards glittered under the lights as much as her jewels, and fans were able to see her Oscar, Emmys, and many other accolades. 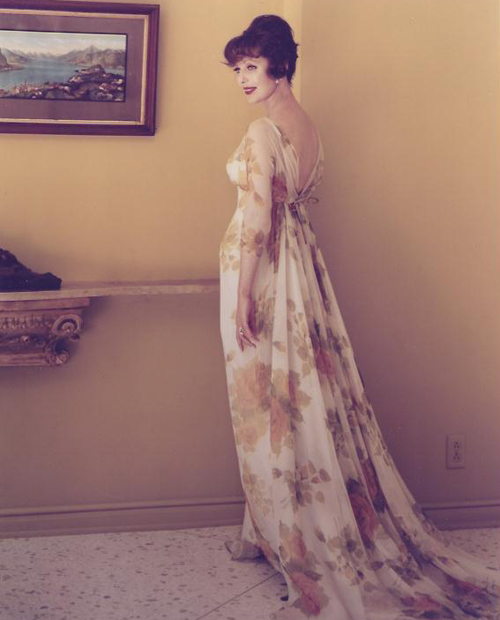 There were also posters and photographs galore of her incredible life as well as personal correspondence, which featured a steamy love letter to Spencer Tracy. 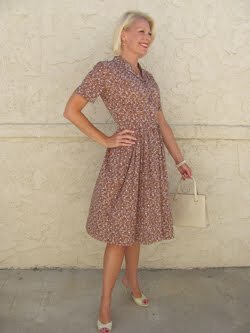 It was amazing to see so much of Loretta and her style in one place. Even the family was overwhelmed by the power of the exhibit. "Our reaction to the event was very emotional," Linda confessed. "Both Chris and I broke into happy tears. 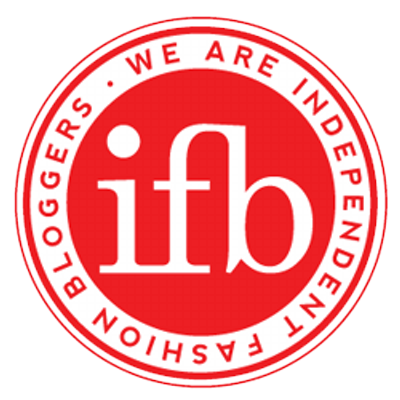 We walked in and were completely bowled over." They certainly were not alone. The show has been about a year in the making, starting with an idea from mutual friend and Movie Star Makeover image consultant Karen Noske. 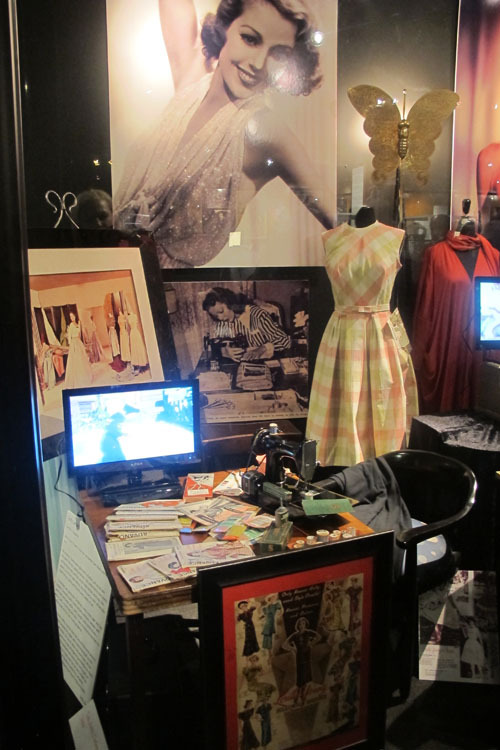 After the last TCM Classic Film Festival, she visited the Hollywood Museum and immediately knew it was the perfect venue to celebrate Loretta's Centennial. 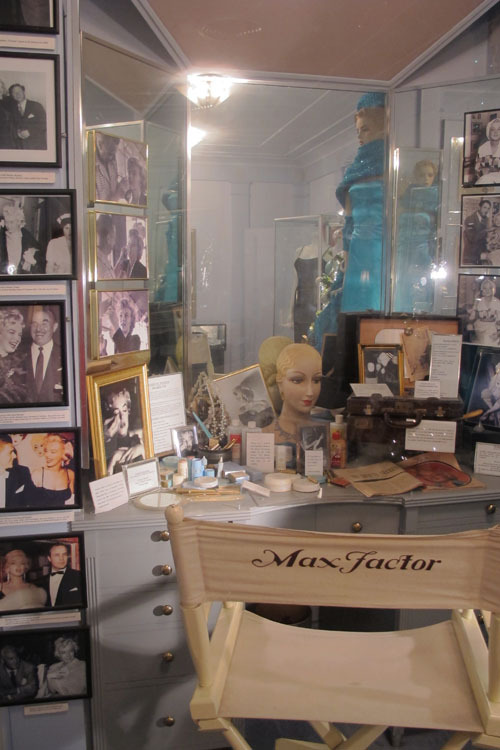 The museum is housed in the original Max Factor Building, and Loretta happened to be both the first Max Factor model as well as his favorite. Of course she had beautiful bone structure and everyone admired how she seemed lit from within. 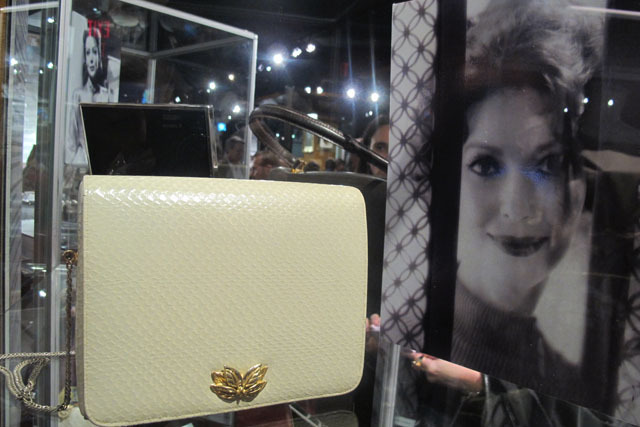 Karen, a longtime Loretta fan, quickly urged Linda to contact the museum about hosting an exhibit, an idea that was met with great enthusiasm. 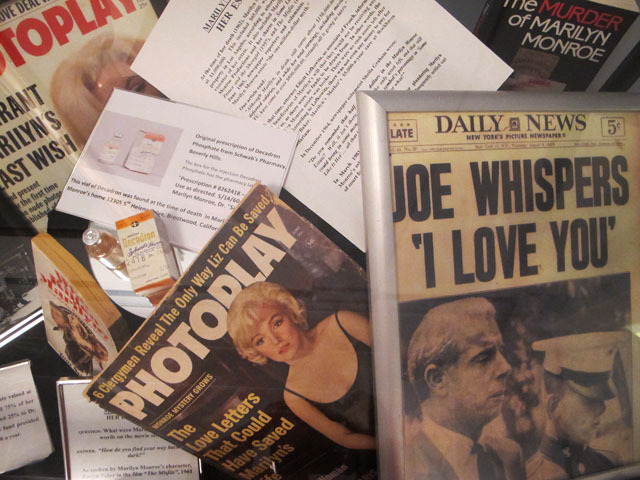 “We were delighted to spotlight one of the greatest Hollywood legends,” said Donelle Dadigan, Founder and President of the Hollywood Museum. 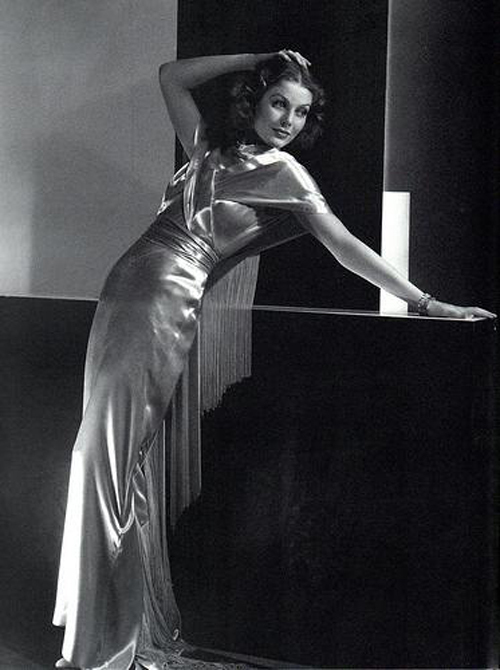 Loretta "transcended motion pictures and television. 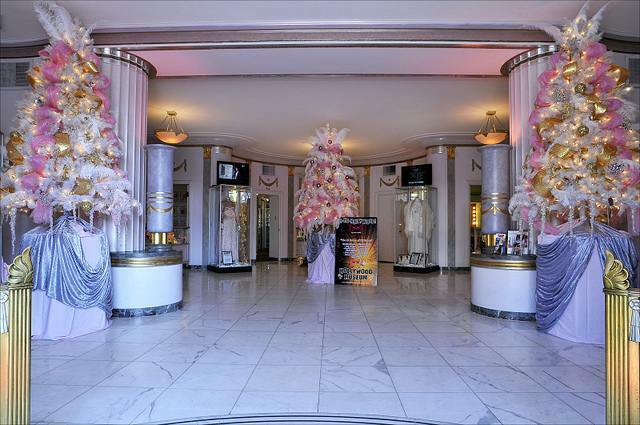 It is especially poignant to showcase the collection at the Hollywood Museum in the historic Max Factor Building.” That in itself really was an exciting part of the evening...to tour the building's Art Deco design and architecture so steeped in Hollywood history. 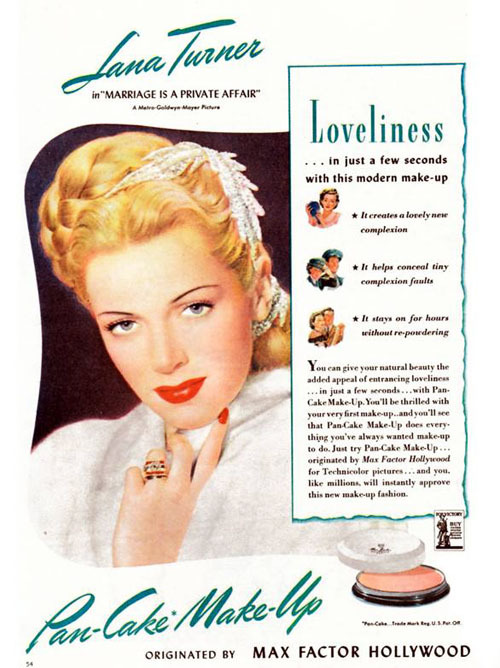 It was the place that every star and starlet--Lana Turner, Heddy Lamar, Rita Hayworth, among many others--would go to get their perfect makeup look. 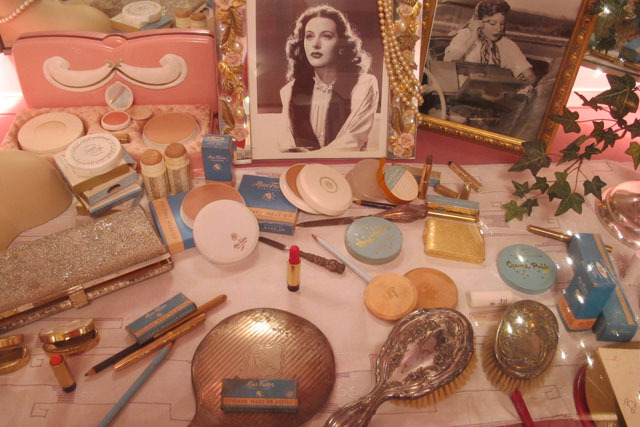 The first floor preserves the various rooms from Max Factor where dressing tables are still stocked with precious products from the era. And again, Loretta was there first. 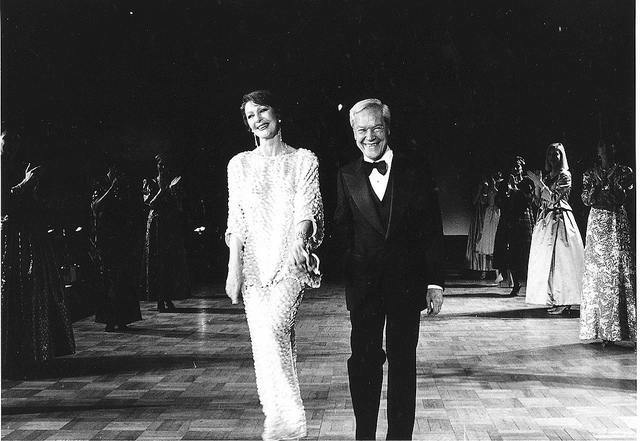 One can see how much glamour was a part of her legacy through this exhibit, the result of innumerable conscious choices and a dedication to perfection. From the moment she stepped on screen, she understood the impact of style and collaborated with many designers throughout her career. 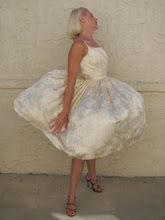 In fact, she led the way by bringing the best costume designers from film to dress her on television as well. 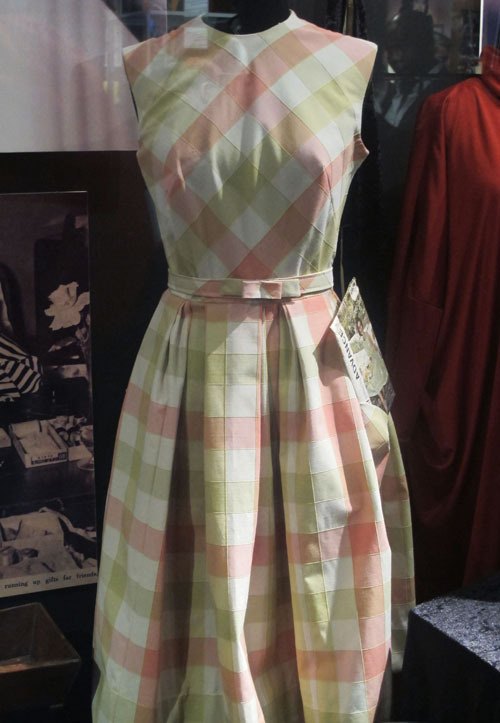 For audiences, the fashion featured on each show was an event. 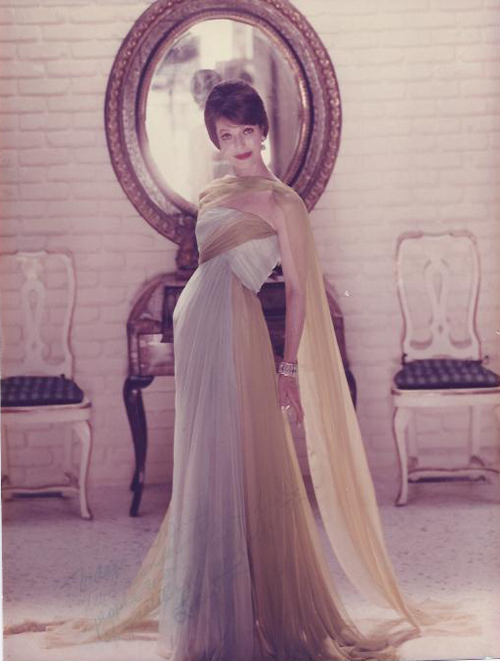 Her trademark entrance on The Loretta Young Show--"the twirl"--allowed her to expertly show every outfit to its advantage. 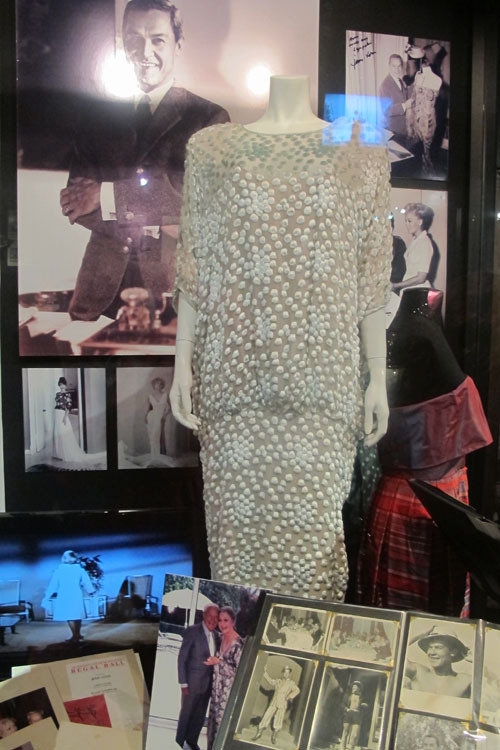 She later married longtime friend and colleague, costume designer Jean Louis--one of my heroes responsible for Gilda and Pillow Talk--and several of his designs are also included in the exhibit. "Pulling the show together has been a labor of love," Linda shared. 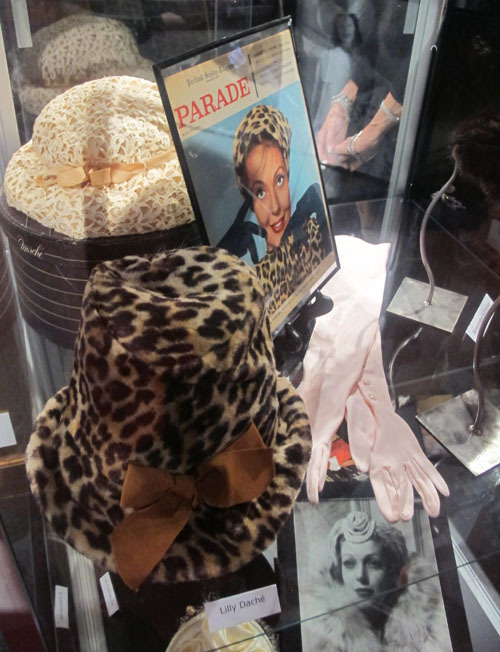 "Starting in May through the very day of the opening, we've been amazed and touched by the generosity of the Loretta Young collectors who were willing to share their treasures with a wider audience." 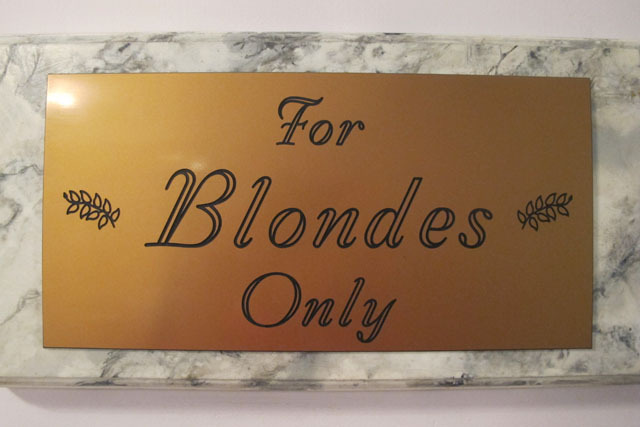 These collectors have become invaluable to the preservation of Hollywood history as most of the inventory of the movie studios--from photographs to costumes--were blown to the wind with a series of auctions starting in the 1960s. 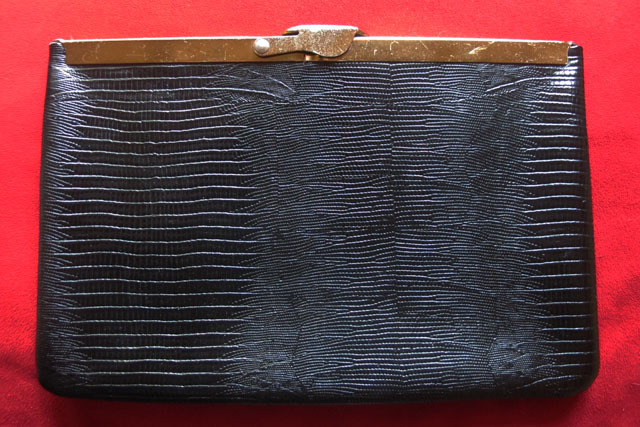 Much of this exhibition, in fact, is due to the dedication of collector Salvador Iglesias, Jr. The most thrilling part of this Centennial celebration has to be the number of people who are really getting to know Loretta now. As I have learned over the years, there is much to admire. Of course, her career is beyond impressive. 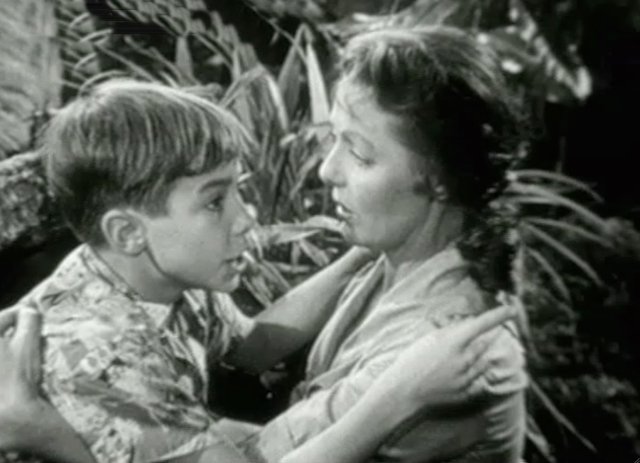 Reaching the pinnacle of success in film and television, she was the first actress to win both an Academy Award and an Emmy. 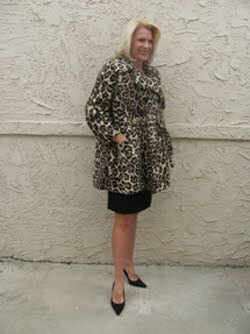 But what continues to draw us to Loretta is unquestionably her style. 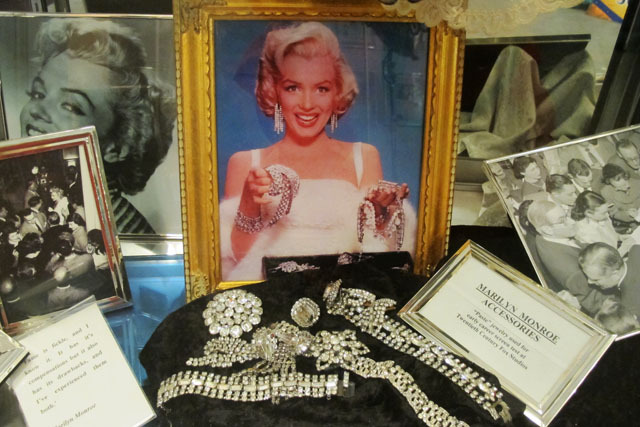 It was her glamour that surrounded us in the Hollywood Museum that night and made everyone so giddy. As I have written about before, the legacy of her style still acts as an inspiration to designers today, such as my couture friends from Mon Atelier who also attended last Tuesday's event. 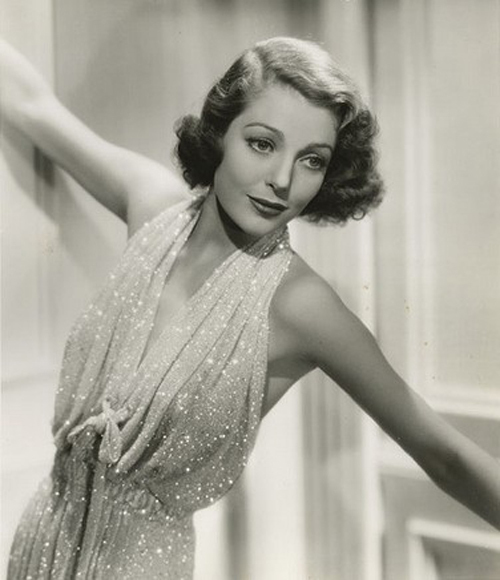 In every era that Loretta Young was on film, she was stylish...from her head down to her toes. This was true offscreen as well. 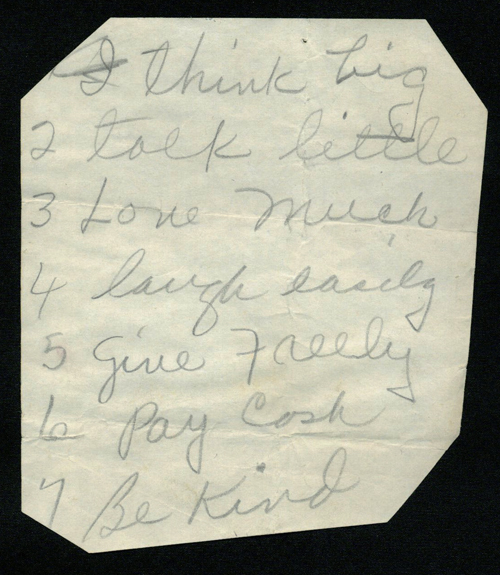 And let's not forget the graciousness that endeared her to millions. The family has been humbled that so many are continuing to honor her. "The experience has been remarkable on so many levels," Linda enthused as we said goodbye. "As family, its easy to take her career for granted. To rediscover the legacy of Loretta has been an unexpected benefit." 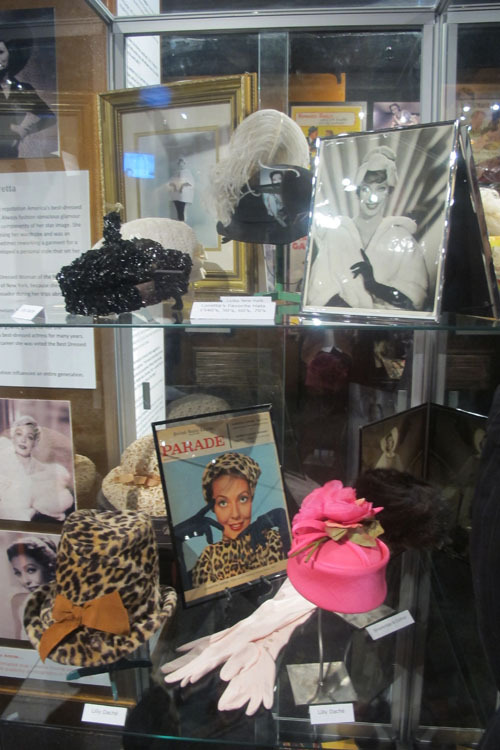 Discover it for yourself and join me through the Hollywood Museum as you get to know this "Hollywood Legend: 100 Years of Glamour & Grace." 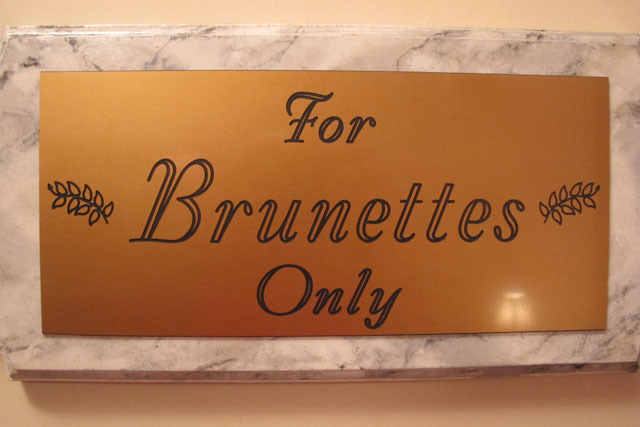 and made up in a pink room "For Brunettes Only"
Lana capturing a satisfied smirk on my face as I enter the room "For Blondes Only"
"I tell my clients to look to her as an example of ageless glamour and style. The exhibit is amazing - one must see in person for the full effect. Since the pic of museum facade was taken, there have been added 3 incredible Loretta Young banners for all to admire as they walk or drive by museum. Steve(museum curator), Linda & Chris(LY children) have done a wonderful job creating this exhibit! Thank you Kay! Of course I thought about you the entire time and you were definitely there in spirit. You would have been so excited to see it all. 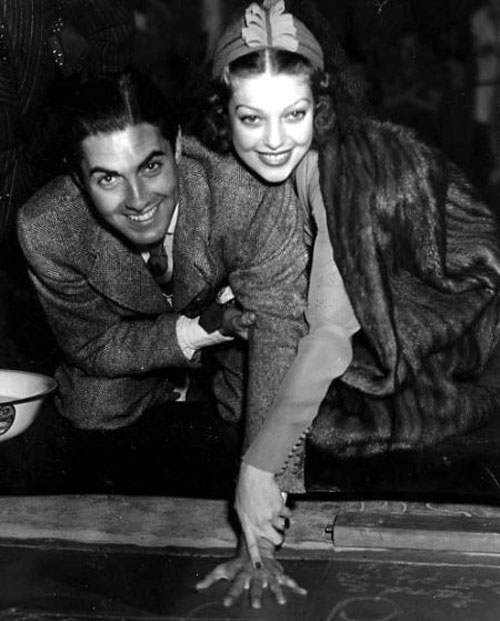 I know that this is only the beginning of people getting to know the legacy of Loretta Young. So much to be proud of, Kay! Thanks for your comment, James! I'd be happy to show a picture of the nighttime exterior if you'd like to send it along to me. There was so much excitement when I arrived that my entrance was all a blur! What a great evening and magnificent exhibition. People really do need to see it in person. Wow, what a great event! Wish I could have been there...and how exciting that you got some photos with Ms. Young's son *and* television son. Thanks for posting all the pics...it's like I was there. Los Angeles is an incredible place, Miss Crayola Creepy. 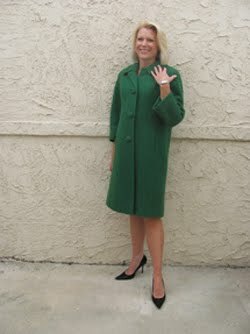 I try to stay connected to all the areas I care about--film, fashion, vintage--and find some great events. Wish I had time to do more! Glad that you could feel me bringing you along, Joel. I always think of my TCM friends across the country when I go to events of this nature and want to share enough that you can virtually be there. It was an incredible night...had such a good time with everyone. 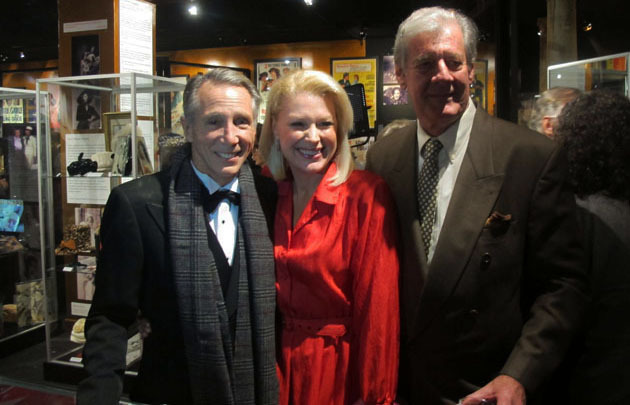 Loved spending time with Loretta Young's family and friends! Hi Kimberly! 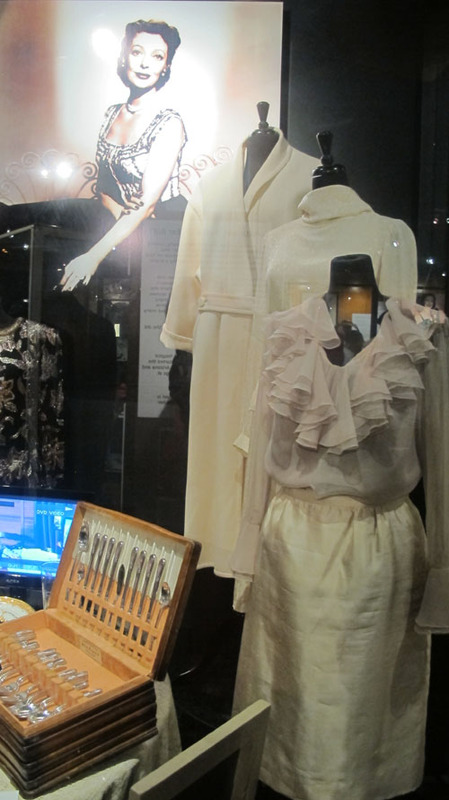 Thanks so much for this wonderful, detailed description of your night at the Loretta Young exhibit. As always with your "Out & About" posts, it was the next best thing to being there myself. 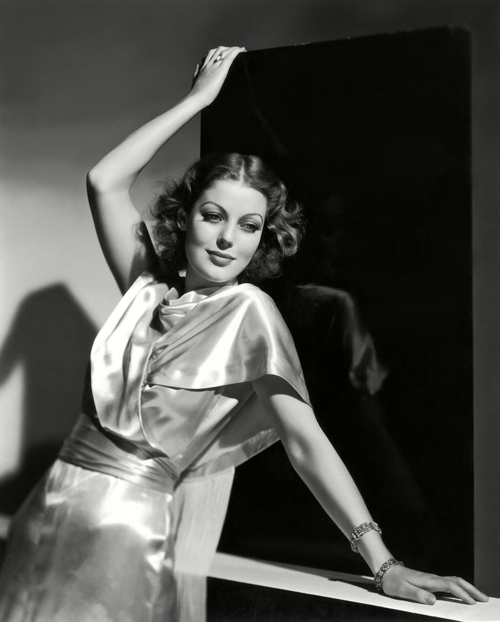 I've learned so much about Loretta Young from you, Kay, and TCM this month. It's great to see people appreciating her work and legacy. 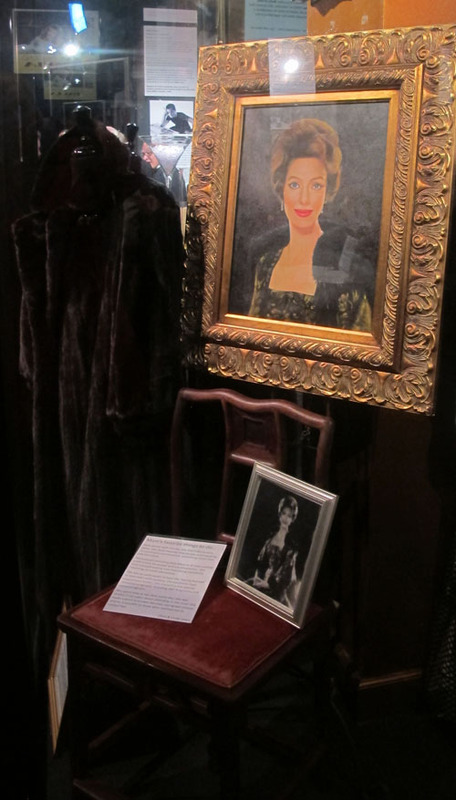 Me-TV is showing several hours of "The Loretta Young Show" this Sunday afternoon, as well as some interviews with her family members and coverage of the Hollywood Museum exhibit. Another chance for those of us not in Los Angeles to get at least a taste of what you experienced. 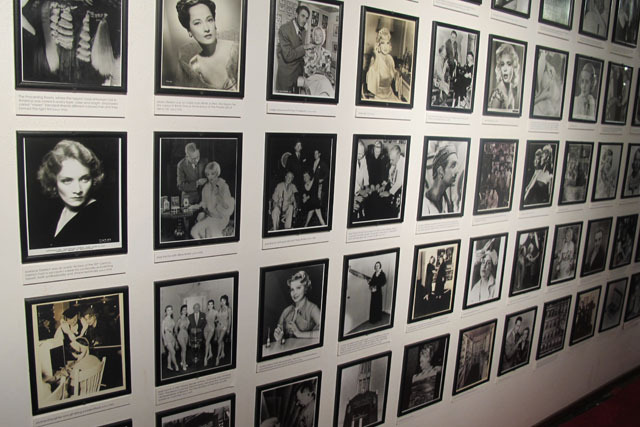 The Loretta Young exhibit at the Hollywood Museum is absolutely amazing. I'm one of the collectors who lent items for the exhibit and found myself returning the day after the opening gala so I could take it all in. 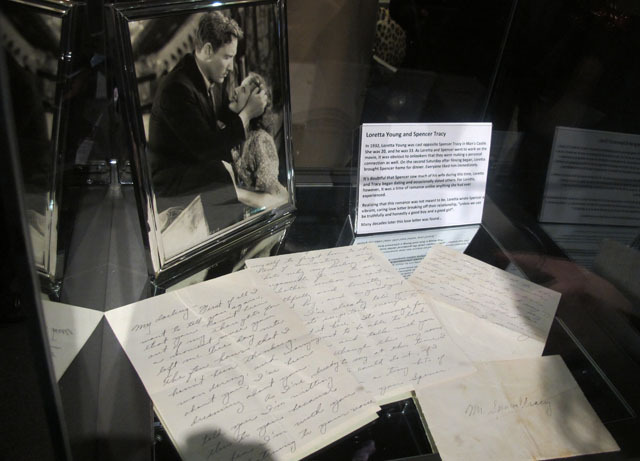 I have a transcript of Loretta's letter to Spencer Tracy,one of the items I have loaned to THM. 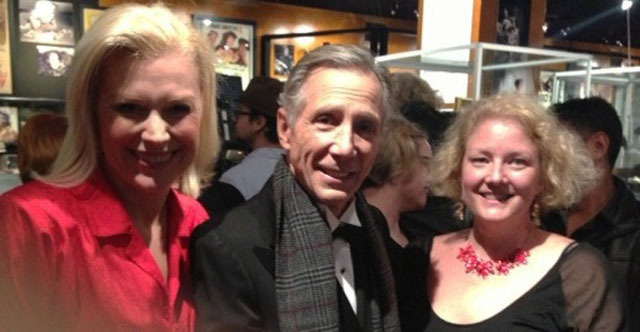 Thanks for the write-up and great visuals Kimberly - for those of us who couldn't be there. 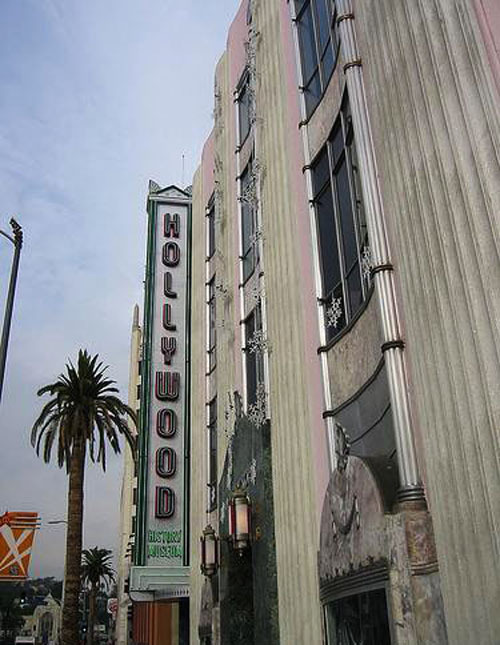 The old Max Factor building and now Hollywood Museum was the perfect venue for the occasion. 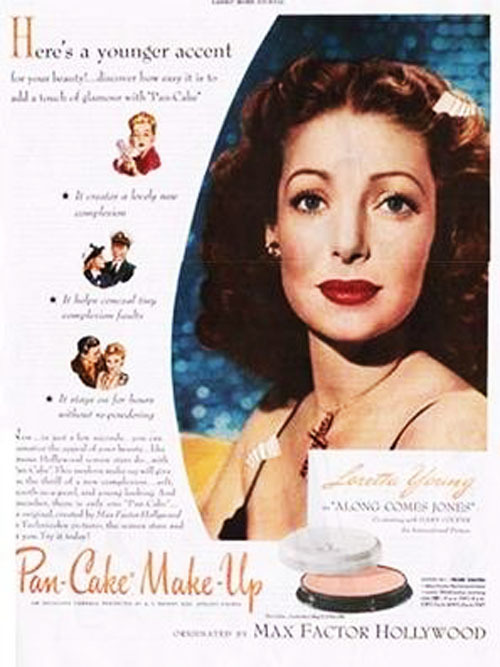 A beautiful occasion for such a great beauty - Loretta Young. Thanks Melissa! You're definitely someone I think of when I go to events of this nature. 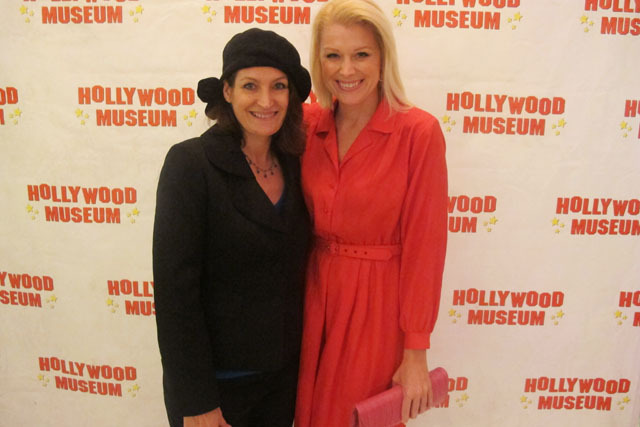 So glad you enjoyed your virtual time at the Hollywood Museum. I'll have to transcribe the Spencer letter for you...you can read it if you blow enlarge the size of the photo. 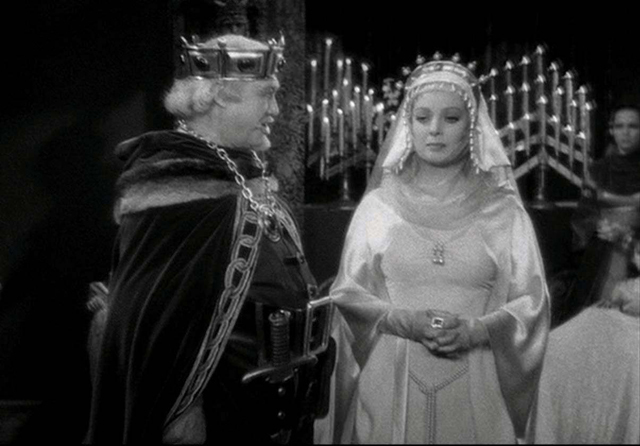 They're so great together in MAN'S CASTLE, aren't they? It's great that so many are getting to know Loretta now and love that ME-TV is including her in their lineup! Thanks Richard! 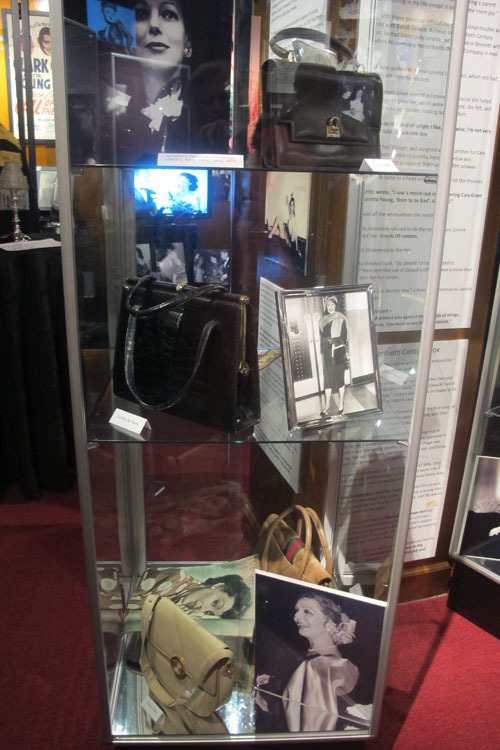 How wonderful that you collectors have been so generous with your treasures of Loretta so that this exhibition has been possible. For those of us fans, it is a precious moment and deeply appreciate the opportunity to celebrate her legacy. Everyone associated with this event has done an incredible job! I know you would have appreciated it, Christian, and so glad you were able to take a look at the photos and take a virtual tour of it all. It was incredible and hope that it's something that happens more and more often. These artists deserve these celebrations! Thank you Linda! That is high praise indeed and so glad I was able to capture the spirit of the evening. It was amazing and you, Chris, and Kay all have a lot to be proud of. 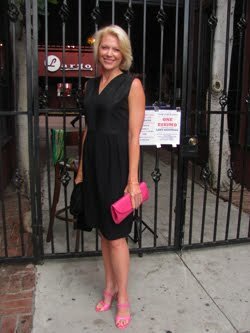 Charlie and I were happy to be there and know that my friends from Mon Atelier loved every moment of it as well. 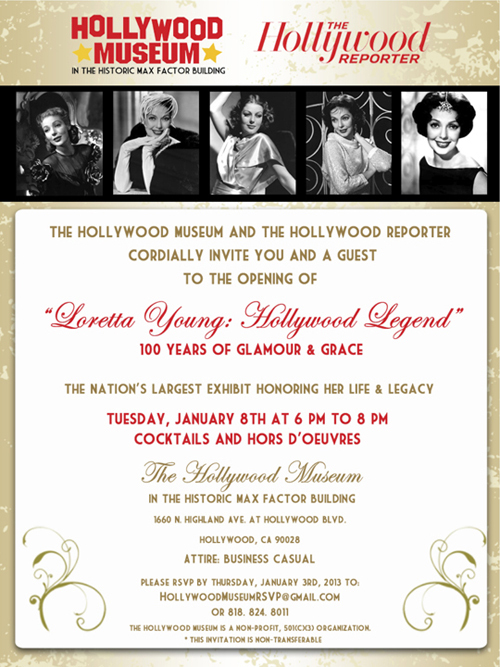 So excited to see what other things are on the horizon for Loretta's Centennial Celebration...I know that the Hollywood Museum was only the beginning! It was so great to finally meet you in person and look forward to our next time together.